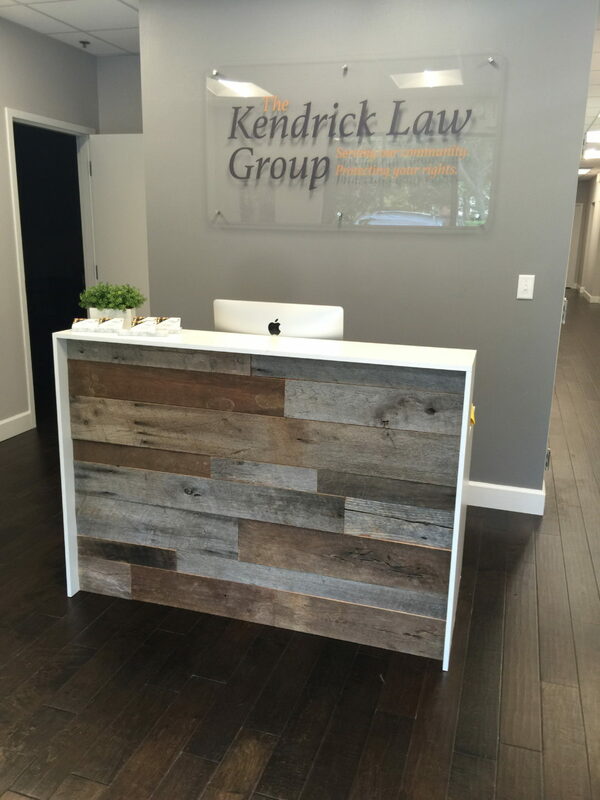 Jessica Kendrick from Kendrick Law Group here in Orlando, asked us to build them a custom Reclaimed Wood Reception Desk for their new office. 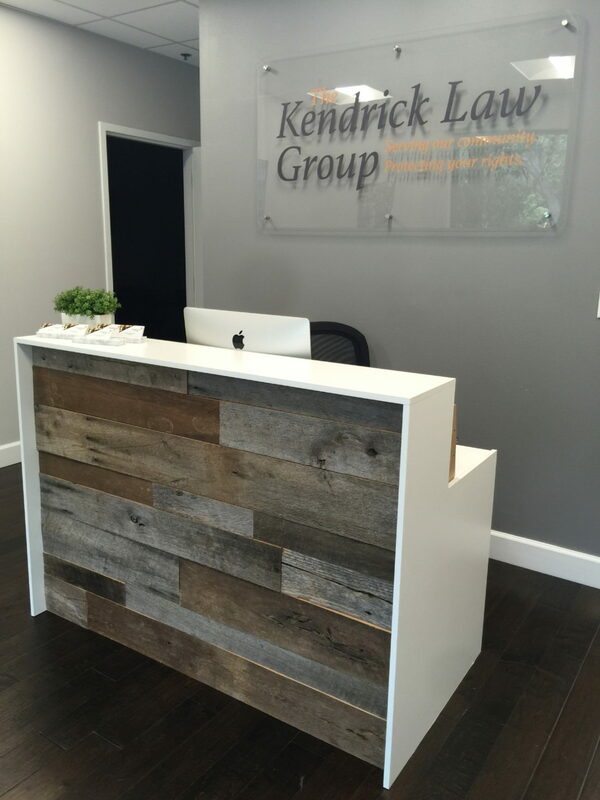 They wanted something simple but chic with a rustic touch. 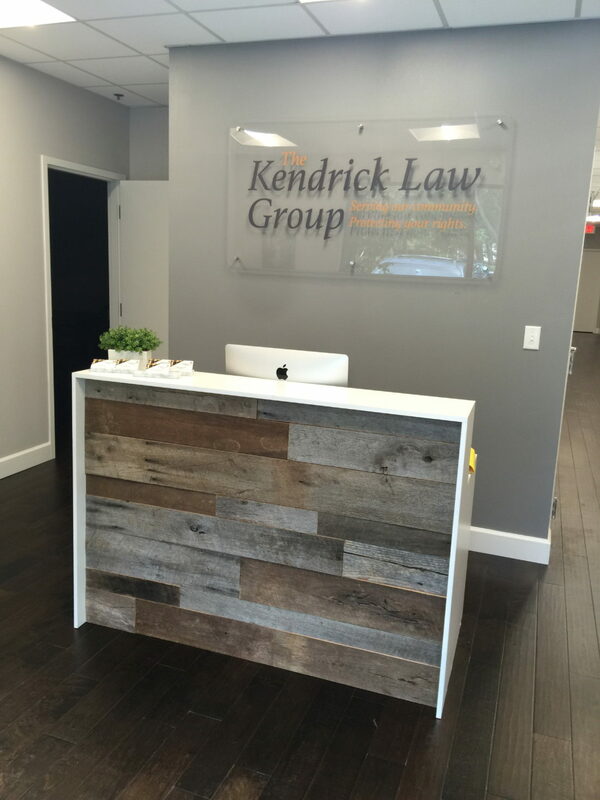 After a few inspirational photos and a design call, we came up with this gorgeous desk.